Sales funnels don’t have to be complicated. In fact, if you’ve never set one up for your business before I would highly recommend making it as simple as possible. That way, you can learn as you go, start seeing results straight away, and expand your funnel from there. I wrote this post to give brand new beginners an easy-to-follow guide to setting up that funnel. This will be useful for you even if you’re new to marketing your business online,. And even if you lack technical experience and hate jargon (I’ll try and keep it jargon free). First, let’s start with a quick explanation as to what I mean by a sales funnel. A sales funnel is a set of tools and systems that you put in place to capture leads. They help move someone from stranger, to prospect, to lead, to customer. Online, they often consists of a freebie to entice people to sign up (a lead magnet). They also include a page where people can sign up with their email address to get the freebie (an optin page). Finally, they include a way to automatically send that lead promotional emails (an autoresponder). That’s a basic funnel. There are far more complicated funnels out there with all sorts of extra bits and pieces in place. But we’ll be ignoring those in this post; you don’t need to worry about them if you’re new to all this. A sales funnel is one of those things that you don’t think you need until you get one, and then wonder how you ever did without it. If you run any type of coaching or consulting business, and your business model relies on getting regular new leads into your business, then a sales funnel will take away a lot of the stress associated with that whole, panicked “where is my next client going to come from?” feeling. In other words, it gives your business some predictability, by channelling all your prospects through a funnel that filters out the not-interested, and leaves you with the good, high quality leads. And most importantly, it ticks over and over on it’s own with minimal human input, and that to me is the most useful aspect. That’s what I mean when I say you’ll wonder how you ever did without one – it’s so nice just to see leads still coming in after you’ve taken the day, weekend or week off work. These are must haves. I’m going to give you my recommendations, and a few alternatives. They aren’t free (though some do have free trials), but a sales funnel shouldn’t be free anyway. It’s a long-term investment in your business, and why wouldn’t you invest in your business if you truly believe in making it work? Create a 1 page PDF freebie for your existing audience. If you’re not sure what that should be, survey them (I’d recommend using Survey Monkey). 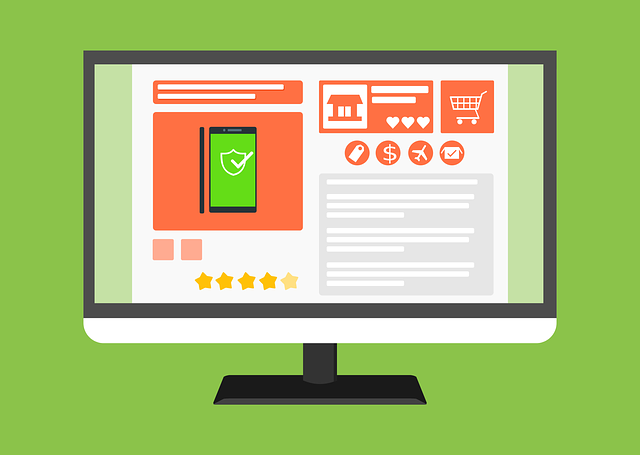 The freebie should be enticing enough that visitors are willing to give you their email address to get their hands on it, and it should solve a burning problem that they are currently experiencing. Firstly, it’s quick. That’s important, because the faster you get your funnel up and running, the faster you can see if it’s working for you or not. It’s about getting something done, not about it being perfect. Secondly, short guides are massively appealing as long as they do a good job of solving a problem, so a 1 page PDF can be just as valuable – if not more so – to your audience. Think of it this way. Imagine you have eczema, and you are desperate to get rid of it. You can either get a free 30 page book with 1000 remedies listed in it, or you can get a 1 page PDF that has the one definitive remedy that works in 95% of cases. Which one would you prefer to read? Use Canva to create your one page freebie. It will publish as a PDF, and it has great fonts and graphics for you to include, to give your guide that professional-looking finish. Quality and branding is important, because this is your first opportunity to wow your audience. If you’re not confident on the branding side (and I’d really give Canva a go before you decide that, as it’s super-easy) then write your guide as a one page word document and pay a designer on Fiverr to turn it into a nice, presentable PDF. You can also see this actual page by clicking here (sign up if you haven’t already – it’s a useful guide!). 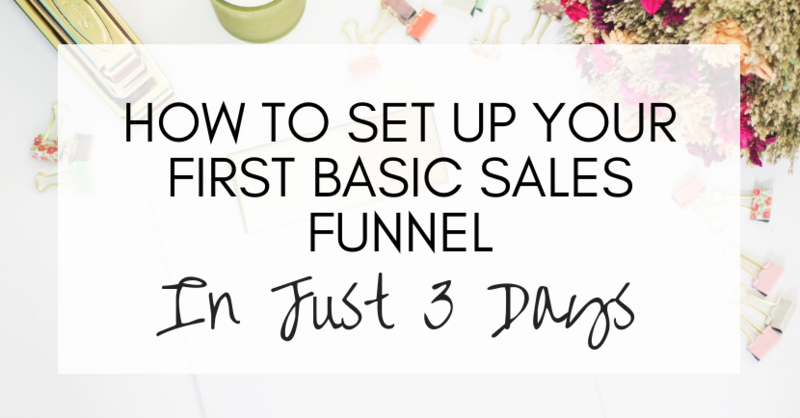 If you use Clickfunnels or Leadpages, this is really easy to set up. Both platforms are designed for the non-techy (which is why I’ve recommended them here). They have easy add and remove features, and ready-made templates you can use – that’s your best bet as a beginner because you can forget about fancy design and just edit them with the appropriate headline text to advertise your freebie. Don’t get too worried about setting this up if you haven’t done so before. The most important thing to focus on when it comes to your optin page is your headline. This is the big, 1-2 sentence headline you use to capture attention and attract your ideal client to your offer. I always aim to spend several hours brainstorming headlines when I write an optin page – it’s really that important. Don’t forget that when putting together this page, you’ll also need to set up a thank you page for visitors to go to once they’ve entered their email address. Again, if you are using Clickfunnels or Leadpages this is all in place for you, so you just need to make sure your thank you page has some nice, friendly wording on it (top tip: use your thank you page to encourage your users to go straight to their inbox and open the email you’ve just sent them). Lastly, is the autoresponder. Naturally, if people are giving you an email address, you need to be able to send them emails. An autoresponder lets you pre-write emails that will send automatically once someone joins your email list. I recommend – for a basic funnel – a series of 3 emails: 1) a welcome email to be sent immediately containing a link to the freebie they’ve just signed up to 2) a second email on day 2 packed with lots of value, so that they can get to know you better 3) a day 3 email either with more value or a small promotional offer. You’ll need to integrate your email autoresponder with your optin page platform – i.e. Clickfunnels or Leadpages. There will be instructions on how to integrate this (it’s too much to include in this post) but it’s pretty simple to set up and one of the reasons I always recommend Clickfunnels is they have a really good support platform, so if you get stuck and can’t figure it out, there’s always someone on support chat to help sort it. What should you expect once you’ve set up your first sales funnel? For a beginner, I’d aim for a conversion rate of around 20%. That means, for every 100 people visiting your optin page, 20 sign up to your list. Whilst that may sound like a big number, it’s very achievable, and I often create optins that convert double or triple that rate, but 20% is a good figure to aim for if this is your first funnel. Both platforms have a reporting function so that you can see what your conversion rate is every time you login. If – after the first 100 visitor, your conversion rate is below 20, that’s the time to start having a more detailed look at your funnel – things like traffic quality, headline quality and the actual freebie you’re offering might need some attention from you to get that figure up. All being well, you now have a funnel in place that’s allowing you to convert a good percentage of traffic who discover you online. These are incredibly valuable leads who you can promote and market your business to. 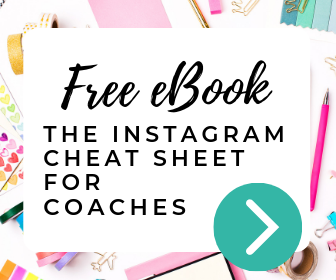 If you have a good quality traffic source in place – whether that’s via your blog, Instagram, Pinterest, Facebook or Twitter, you should find that this funnel will tick over nicely for a long time, with minimal input from you. That’s when it starts to become an asset. 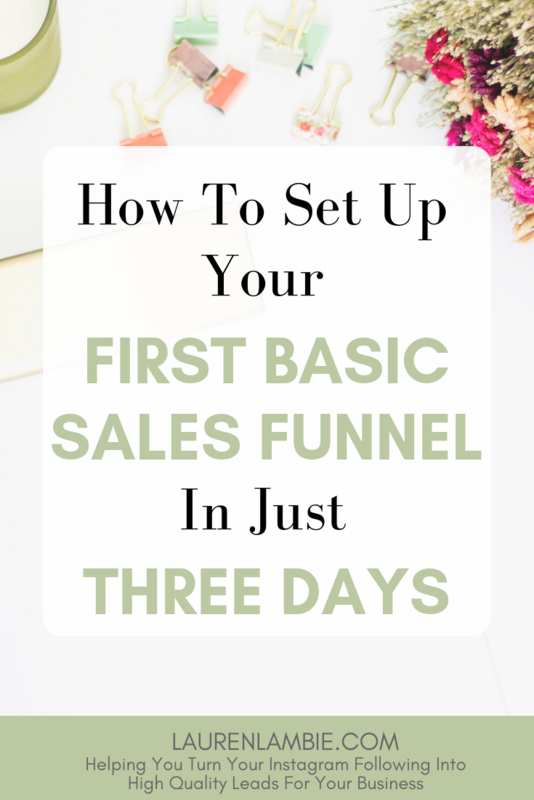 It means you have a lead generation tool that’s in place and growing, even when you go off to the South of France for two weeks to soak up the sun.